A trio of oldies were spotted here. 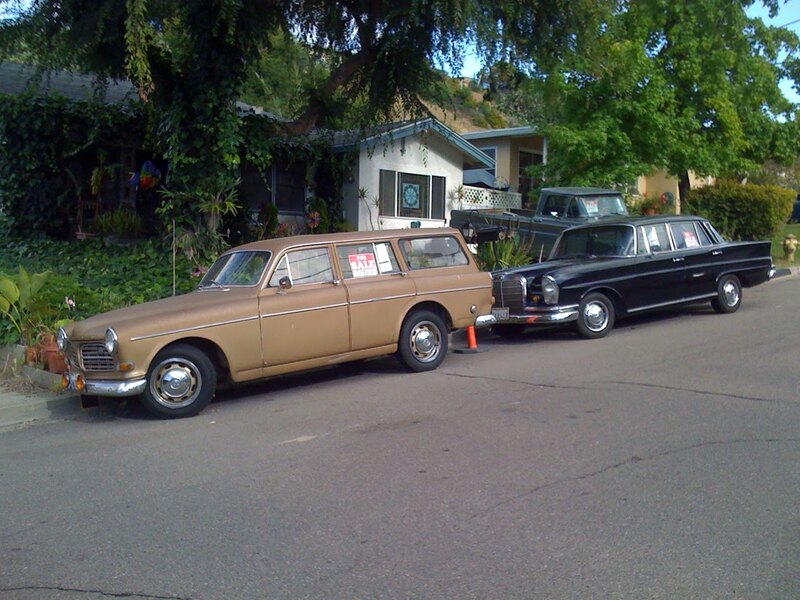 A Volvo 122, Mercedes 220, and a Chevy C10 in the background. All for sale and all with mega slashed prices. I bought a '68 Honda S90 that was in the backyard, but passed on these other classic rigs.